Serie A: Can Lazio End Their Big Game Curse Against Napoli? This weekend could prove to be a pivotal one in Serie A, as the league returns to action. We went over the season so far and picked out betting tips over the winter break, but now the league is back in action. January kicks off with bang in Italy, with an impressive fixture list getting things underway, including Napoli’s clash with Lazio. The big fight in Italy is the Champions League race, with three sides in the fight for a top-four finish. Lazio have a grip on fourth, but not a strong one. They’re only a point ahead of AC Milan, and the pair are going to have their aspirations put to the test this weekend. However, who is going to come out on top? Will Lazio’s Luck Run Out? Lazio have somehow managed to end the first half of the campaign in fourth. They’ve had a poor few months overall, with stars underperforming, the manager coming under pressure and the side going on a seven-game winless streak. With AC Milan and Roma struggling, the Aquile have missed a huge chance to stamp their name on fourth place. They’re lucky to still hold the position at all, but they can’t expect that luck to continue, given their reputation as chokers. This weekend puts their top four hopes on the line, testing Lazio’s big weakness. They’ve got a reputation of coming up short in the big games. European rivals Roma and Atalanta have beaten them this term, while Lazio have lost all of their clashes with the top three so far. Both Napoli and Inter Milan have won at the Stadio Olimpico, and now they meet the Partenopei again, as the hosts continue the chase for second. Napoli have won 10 of their last 13 clashes with Lazio. They’ve gone unbeaten at home this term, while they have forwards in fine form. It’s one of the most difficult ways Lazio could have returned to action, and they needed to lay down a marker this weekend. Now the pressure is on them to shake their reputation as a side who come up short when it matters most. However, Napoli don’t seem to be in the mood to let them off lightly at the San Paolo. We struggle to see the Aquile departing with anything but a defeat. With Lazio’s tough clash, this could be a chance for AC Milan. However, Gennaro Gattuso’s team have real issues at the moment. They had a tough December, while January hasn’t brought much joy. The potential exit of Gonzalo Higuain is telling – he was supposed to be the proven man who could fire them back into the top four. The Argentine was the sure-fire answer to their issues up front, now he’s agitating for a move. Milan have turned to Krzysztof Piatek, a man who has emerged this season at Genoa. They’re making a £35million move for the highly rated forward, but it comes as they prepare to face Genoa on Monday night. There’s certainly going to be an edge to this one, as the Grifone’s home faithful prepare to lose out on a new favourite after just six months with the club. The young forward is surprisingly rivalling Cristiano Ronaldo for the golden boot, which he’ll be pushing for at Milan in 2019. While Genoa seem happy to do a deal for a player at 10 times the fee they paid for him last summer, it is a blow. He’s unlikely to feature against his new side, while the transfer speculation probably rules him out even if they pulled out of the deal. That should help Milan here, as this is a must win game for them. They ended a winless streak with their final act of 2018. It was Higuain who scored a crucial winner over SPAL, which seemed to keep Gattuso in a job. His expected departure throws uncertainty over everyone at the Rossoneri, in a campaign which has been riddled with rumours of an overhaul at the club. It also leaves questions hanging in the air ahead of their meeting. Just how will Piatek’s move affect Monday’s meeting? There’s a three-way fight, including Lazio, AC Milan and Roma. However, the European fight stretches further. Seventh-placed Sampdoria are only three points shy of fourth. They meet Fiorentina on Sunday, another side who are in the mix for a top seven finish. That huge encounter is set to shake up the fight for the Europa League places. Given how the table is shaping up, we see it being close. 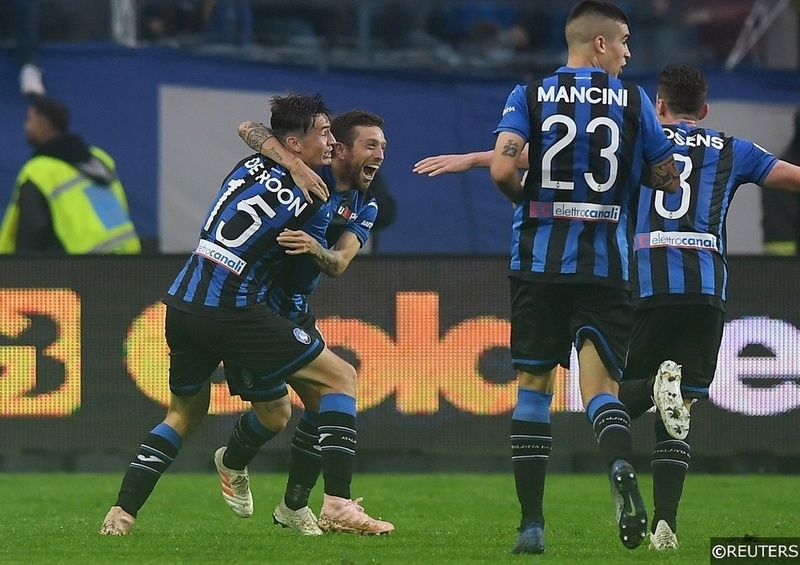 Meanwhile, Atalanta are possibly the dark horses for the Champions League. We had already pointed that out in August, and their recent form seems to back that up. They aren’t too far off the top four, while they have the attacking talent and squad depth to stay in the mix. La Dea return to action on Sunday, when they host second from bottom Frosinone. All eyes will be on Atalanta, who are out to make up for an early European exit this term. They’ve forced themselves into the European reckoning over the last few years, something which should continue this term. Another win is likely, as the top four race continues at pace. Categories: Blog and Football. Tags: Italian football, Italy, Serie A, and Serie A Betting Tips. Team Tag: ac milan, Genoa, Lazio, and Napoli. League: Italian Serie A. Sports: Football.